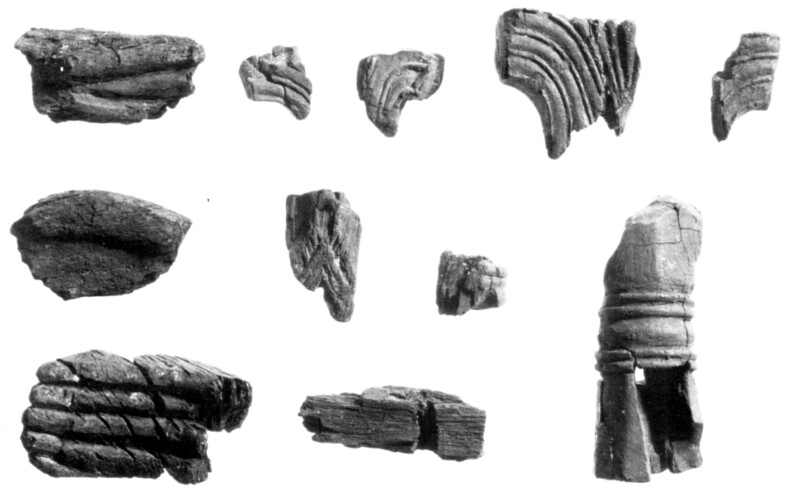 These tiny fragments of carved wooden items come from a house in Jerusalem, in the City of David area. Their presence suggests that at least some members of the local population were rich enough to afford luxury items like furniture. The items were made mostly of boxwood, which does not grow locally in the southern Levant. Identifying the wood as something not grown locally means that its presence in Jerusalem had to come from trade, with either the raw material or, more likely, the finished objects imported and sold in the city.